The Great British Sauce Company is what it sauce on the bottle – a sauce company. 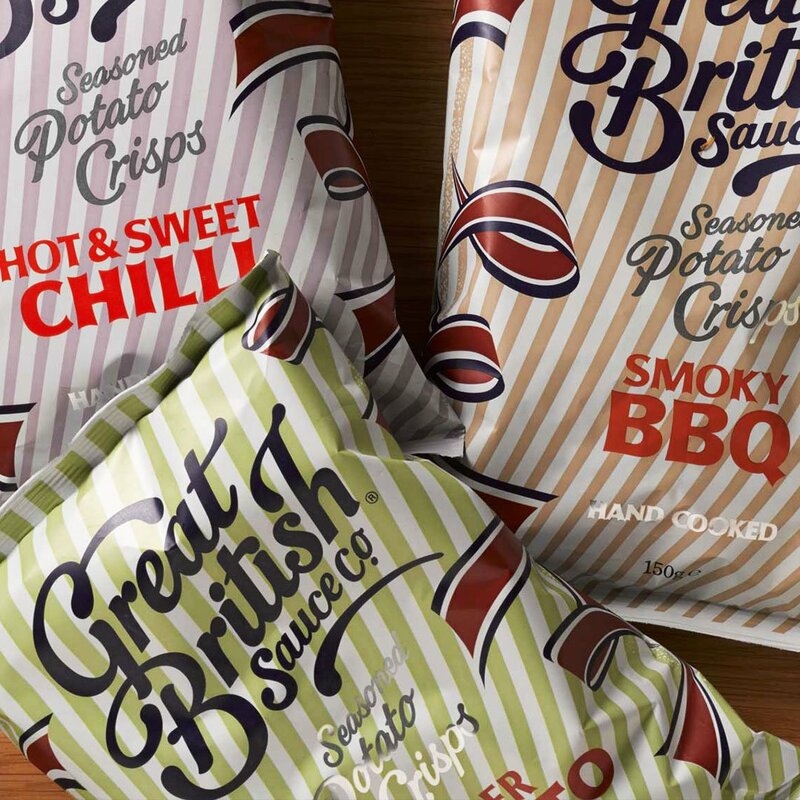 However, the Crisps they have added to their range are not a mere sideline, but an extension of their individually designed tastes and flavours, and a natural extension of their product line. We would not ordinarily include corporate statements on these pages, but this one really does show off the company’s passion for their products. “It all started, for me, with the legendary chef Keith Floyd. TV and media 20 years ago brought a new enthusiasm for modern British cooking. British food was literally being reinvented, Indian and Asian restaurants were going upmarket and Pubs were going gastro. As a nation we began to think about food differently. "I started by making Tomato Sauce for family and friends. I made my sauces as a simple reaction to what was available on the Supermarket shelves. The big brand Ketchups were just too disappointing. My homemade sauce was delicious, full with flavour, simple with an elegant finish. It was exactly what the perfect chip needed. "Some said we were crazy, daring to start a condiments company in such a crowded market. We're a group of friends, all passionate foodies, driven by the same ambition to create properly made sauces and condiments, reflecting modern British flavours. All our sauces are made here in Britain with passion and care, each bottle tasting as good as the original homemade version. 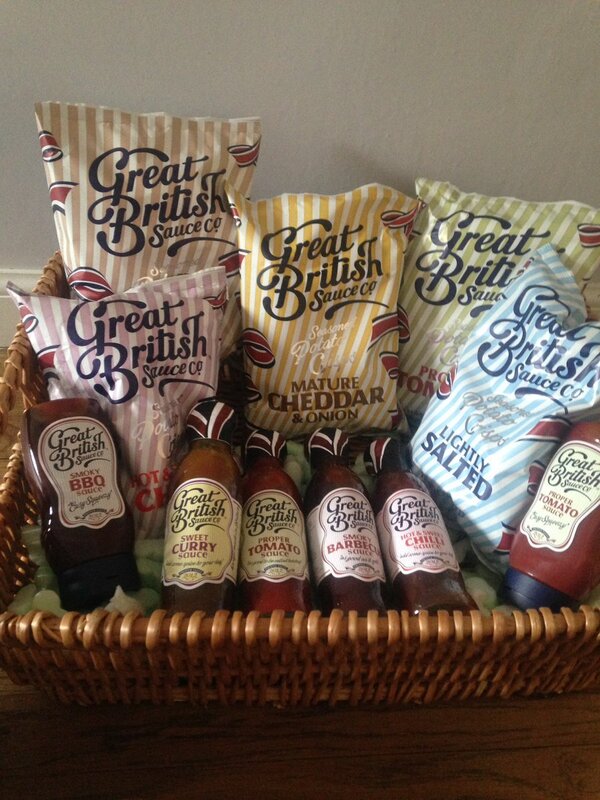 "Today the Great British Sauce Company is proud to offer an amazing range of British sauces. A brand new take on the classic Ketchup. All, of course 'too good to be called ketchup'. Our Proper Tomato Sauce, delicately seasoned and bursting with fresh tomato, an ideal addition to the gourmet burger. ​"Tomato & Habanero Chilli Sauce is brimming with a full tomato flavour, coupled with an amazing fresh chilli hit. We love it spicing up a great chip butty. "We call our Proper Brown Sauce proper for a reason. The perfect balance, great taste and sensitively spiced. Welsh rarebit is not the same without it. "Our Tomato & Mustard Sauce has a full bodied tomato flavour, with a mild mustard note that certainly hits the spot. It's nice with cold meats and essential with sausages. "Our Hot & Sweet Chilli Sauce carefully blends fruity sweetness with a serious chilli bite. Great in stir-fries, as a table sauce, marinade or dip. Visit the GB kitchen for more seasonal recipe ideas. "I hope you enjoy our sauces as much as we enjoy making them." Andrew (Co-Founder) Great British Sauce Co.